Marian started working for CAIS in May 2005 as a receptionist at the DAWN Centre. During the last 13 years, she has worked in a number of roles across the organisation, including as appointments and referrals administrator for our counselling and therapeutic services, and as cordinator of Change Step. 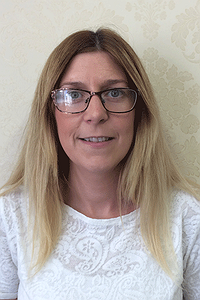 She now co-ordinates Cyfle Cymru across five areas of Wales, and oversees the Conwy Team. She has an NVQ Level 2 and 3 in Business Administration, Level 3 in Customer Service, ILM Level 3 in Leadership and Management, Foundation Degree in Substance Misuse and is currently working towards achieving my ILM Level 5 in Leadership and Management.